This is diving's last frontier, a wild land surrounded by a sea of possibilities. Papua New Guinea, aka PNG, is known as the birthplace of muck diving, and Milne Bay remains one of the premier locations on the planet to seek out cryptic critters. But there is much more to discover in the waters surrounding the world's second largest island. Kimbe Bay is home to half the world's species of coral, while Rabaul offers towering walls and electrifying drift dives. The fjords of Cape Nelson hold forgotten WWII wrecks, and one does not have to travel far from Port Moresby to discover a seascape of coral grottoes and bommies. This is a destination that can please big animal enthusiasts, reef lovers and critter hunters alike. Thanks to a combination of isolation and favorable geography, PNG has some of the most prolific and pristine coral growth in the world. Steep slopes and walls begin literally feet from the shore and drop to depths of more than 1,000 feet. In areas sheltered from currents, coral formations grow to immense sizes. By contrast, the bottom of sheltered bays may be covered in volcanic silt that holds a wealth of unusual marine life. Offshore pinnacles, points and sea mounds are washed by converging currents that attract a full spectrum of sharks, rays and other pelagic fish. Depending on location, water temperatures can range from the high 70s near Port Moresby into the mid 80s in the Bismark Sea. PNG is a country linked by air rather than roads. After arriving in Port Moresby, most travelers will continue to their destination by domestic flights that may have tighter limits on baggage size and weights, including carry-ons. While planning your trip, research these allowances and pack accordingly. In Milne Bay, Dinah’s Beach is known as the world’s original muck-diving site. At Deacon’s Reef, coral pinnacles packed with reef fish and invertebrates rise from the deep water. Wahoo Point delivers big fish action that includes hammerheads, manta rays, dolphin and whale sharks, and orcas have been known to pay a visit. Cryptic creatures such as ghost pipefish share space with discarded bits of history below Tufi Wharf. Plankton-rich currents draw pelagic visitors to the steep drop at Mulloway Reef, while the twin seamounts of Susan's Reef delight underwater photographers with pink sea whips and swirling clouds of fish. Krakafat has one of the highest densities of fish and corals ever recorded, and Garove Olnad provides a unique chance to dive into the interior caldera of a massive sunken volcano. A skin suit may suffice for sites of New Britain Island and the north shore of Papua, but southern sites may dictate at least a 3mm suit. A hood will ward off chills during extended and less-active muck dives. Include a muck stick for bays, and a surface marker buoy for sites with currents. MILNE BAY- ONE NIGHT FREE includes 7 nights Deluxe accommodations, daily boat dives including lunch and snacks, shore diving on house reef, complimentary night shore dive, breakfast, lunch and dinner daily including coffee and tea, roundtrip airport transfers, hotel tax and service charges. Valid 1/15/19-3/15/19. Add $279 per person for travel 4/25/19-8/31/19. LIVEABOARD - 10-NIGHT ITINERARY includes 10 nights double cabin accommodations, breakfast, lunch and dinner daily including complimentary wine with dinner, four to five dives per day, airport transfers on day of departure and disembarkation, light laundry daily, environmental and safety fee. Departure time is no earlier than 6 p.m. on the first day and disembarkation is no later than 9 a.m. on the final day. Packages available for 7, 8, 9, 10 and 12 night trips. Call for 7 and 12-night package dates and rates. 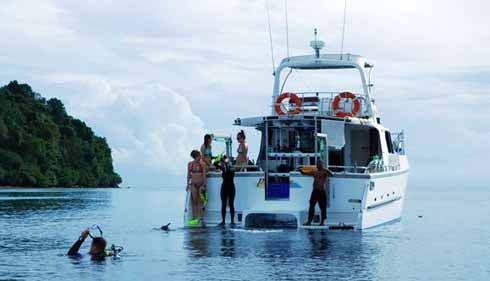 MILNE BAY - 7-NIGHT DIVE PACKAGE includes Standard accommodations, 18 boat dives, shore diving on house reef, all meals including coffee, tea and fruit juices, roundtrip airport transfers, hotel taxes and service charges. TUFI - Nestled in the only fjord country in Papua New Guinea, this boutique upmarket resort offers macro diving at its best along with great outer reef diving. 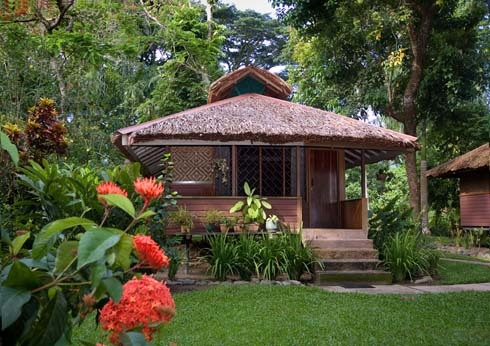 Tufi Dive Resort also offers snorkeling, cultural trips, fishing, outrigger safaris, and trekking. 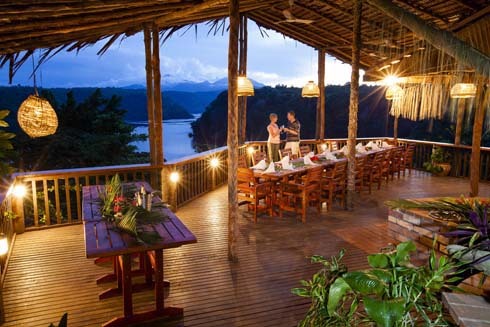 KIMBE BAY - Walindi Plantation Resort has long set the standard in catering to the diver who craves the very best. Stunning vistas above the water are surpassed by the profusion of corals and sheer abundance of marine life beneath the sun-drenched turquoise waters of Kimbe Bay. MILNE BAY - Tucked away, only accessible by boat, sits what may be Papua New Guinea's best kept scuba diving secret. Located on a volcanic bluff overlooking the clear protected waters of Milne Bay, Tawali offers travelers a unique location to dive, relax and enjoy the unspoiled wonders of this magnificent part of the world. Oceania is currently undergoing a refurbishment before she launches. 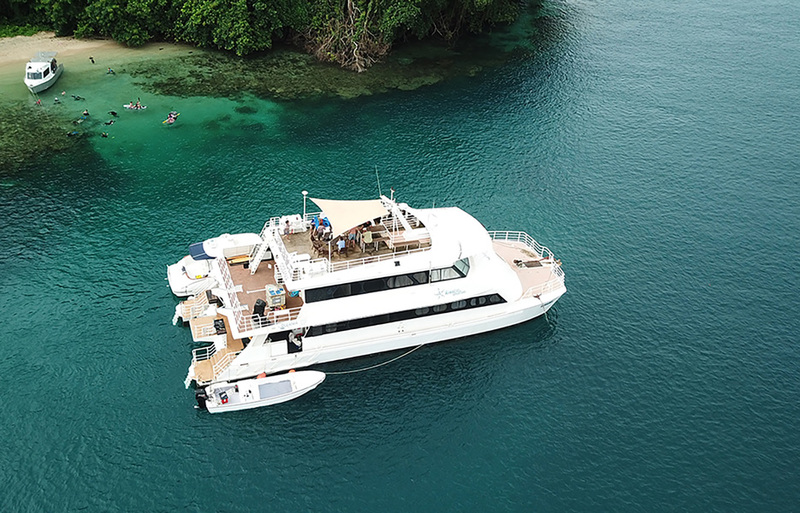 Her focus will be on scuba diving charters within the Bismarck Sea, but she is likely to explore some other areas within Papua New Guinean waters and is open to specialist charters including leisure and birding focused trips. Guest cabins will be a combination of twin share and queen bed rooms, all en-suite, above deck and designed with comfort in mind. Cabins and common areas inside will all be air-conditioned, or guests can relax outside on the spacious sun deck. 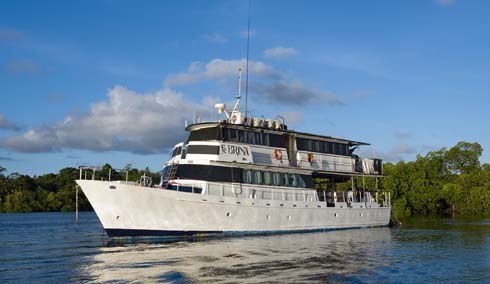 A liveaboard steeped in the diving folklore of Papua New Guinea, MV FeBrina has attracted a dedicated and enthusiastic band of followers from around the world from the enthusiastic sports diver to the world's best underwater photographers, The FeBrina offers some of Papua New Guinea’s best diving for small intimate groups with a maximum of only 12 divers per trip. These trips sell out quickly so contact us for current availability and details. 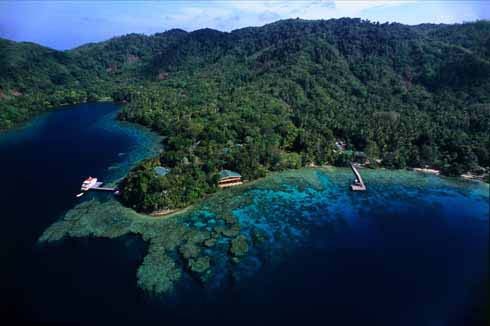 The waters of Papua New Guinea have corals and fish in both abundance and variety. The shores of Papua, New Britain, and surrounding smaller islands together support the fourth largest coral reef ecosystem in the world, including more than 40 species and some of the world's highest densities of coral cover. The range of marine life is equally rich, with more than twice the biodiversity of the Red Sea, and more than five times that of the Caribbean. Most any coastal area in the country is ripe for underwater exploration, but diving activities center around a number of self-sufficient liveaboards and comfortable waterfront resorts on New Britain and the main island of Papua. Near the big island's eastern tip, Milne Bay is credited as the original muck diving site, where dark volcanic sands provide habitat for a range of enigmatic and unusual creatures. But there's much more to Milne than muck, including the large coral heads known as bommies that rise to within a few feet of the surface. These formations provide habitat for small reef dwellers such as seahorses, octopi, dwarf lionfish, and frogfish, and become gathering points for schools of trevally and sharks. Offshore sites are washed in currents that also attract hammerheads, manta rays and even the occasional whale shark or minke whale. Some 120 miles to the northwest, the coastline at Tufi takes on a very different character, with deep fjords surrounded by rainforest-clad hills. Calm, clear waters within the fjords allow sponges and certain varieties of coral to grow to immense sizes and support rich communities of macro life that include numerous species of goby and nudibranchs, mandarin fish, ghost pipefish, pygmy seahorses, and more. Outside the fjords, pinnacles rise from depths of a half-mile while signature wrecks in the area include the Dutch cargo ship S Jacob and an intact B17 bomber. On the north coast of New Britain Island , Kimbe Bay is the epitome of a coral garden. More than 400 species of hard corals thrive in the calm waters of the bay—representing more than half of all hard corals found worldwide. Soft corals, reef fish and invertebrates are found in equal abundance. Reef formations near the mouth of the bay drop into oceanic depths and add a range of larger fish. Kimbe is also the departure point for trips to offshore pinnacles that serve as magnets for pelagics, and cruises to Father's Reef and the submerged volcanic landscapes of the Witu Islands.